I was asked a question this morning that I don't think I have discussed in a previous blog article. A partner was concerned whether web services interactions could cause a potential conflict with other users accessing Sage CRM through the main interface. Basically, does a web service request consume a concurrent license? The answer is no. 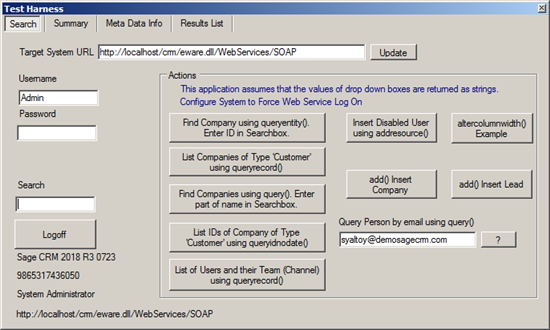 The SOAP Web Service logon is an additional login. My system allows for 3 concurrent users. 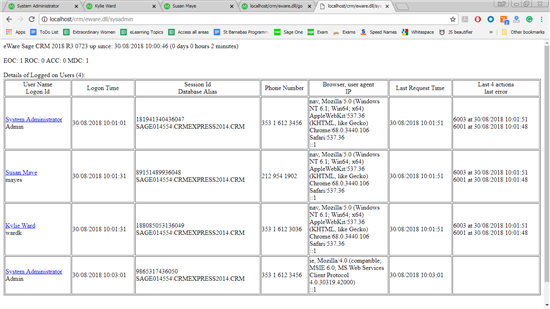 In the fourth tab from the left, I had tried to log in as 'Matthew Ebden' but received the classic message 'Maximum number of users already logged on. Please contact your System Administrator' but you can see that I have been subsequently able to log in using my Web Services test app.